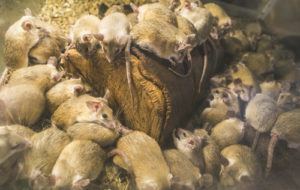 Not only is having a rodent infestation incredibly annoying, but it also puts your home and family in harm’s way through the spread of disease or structural damage. Below is a short summary of some of the most common rodents we encounter here in the Orlando area to help you determine what type of critters you’re dealing with, as well as some ways to help detect their activity. How do I know if there’s an issue? If rodent activity has been keeping you up at night, don’t hesitate to call the rodent removal professionals here at Critter Control® of Orlando. Our technicians are able to not only remove any offending critters, but repair any damage as well. Call us today at 407.295.7194 to schedule your free home consultation.